IDW PR – It’s no secret that Darwyn Cooke has garnered wide acclaim, including multiple Eisner and Harvey awards, adapting Donald E. Westlake’s world of Parker into graphic novels. 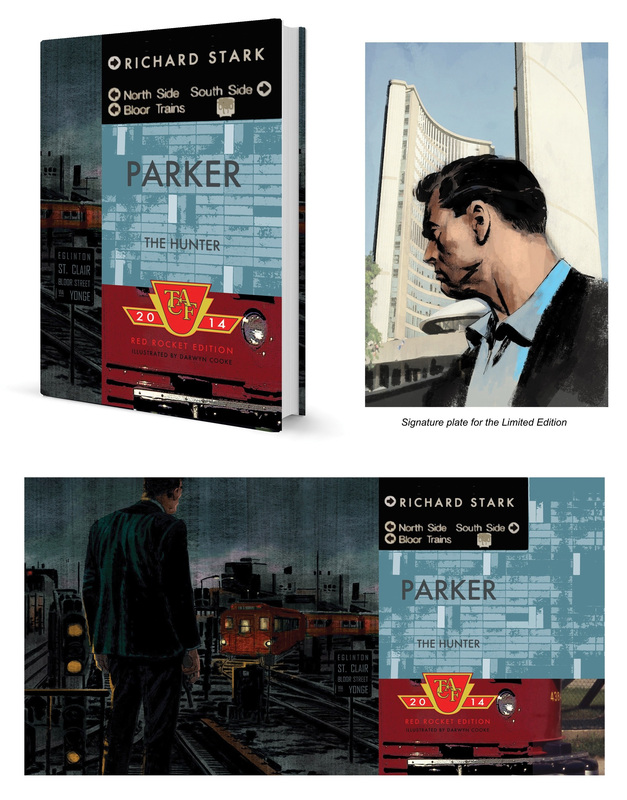 But what should catch your attention today is that the acclaimed writer/artist is providing all-new illustrations for the classic Parker novels by Richard Stark (Westlake’s pen name), presented for the first time in a deluxe format. The series will be released in chronological order, and launch with The Hunter, the inaugural Parker story. Each book will contain 10 gorgeous paintings by Cooke, and, with the design and typography overseen by the renowned artist, this series promises to be a stylish tour-de-force. at the Toronto Comic Arts Festival. Cooke, a special guest of the show, will be appearing both days to the sign the book, which features a unique dust jacket and signature plate. For more information please visit the TCAF website: http://torontocomics.com. have teamed up to release four graphic novel adaptations thus far: The Hunter, The Outfit and The Score. The fourth, Slayground was released in December 2013 to high praise and critical acclaim. “I’m always amazed by Darwyn’s versatility as an artist,” said editor Scott Dunbier, “he brings something new to everything he does. His work on the Parker graphic novels is phenomenal, and so are the paintings he has created here for the prose novels, but they are also completely different from one another—which is a big part of the fun!”Lauded as a classic of the genre, The Hunter follows Parker on a cold-blooded mission of revenge. Betrayed by those closest to him, Parker sets out for retribution in a world of corruption, violence, and retribution. 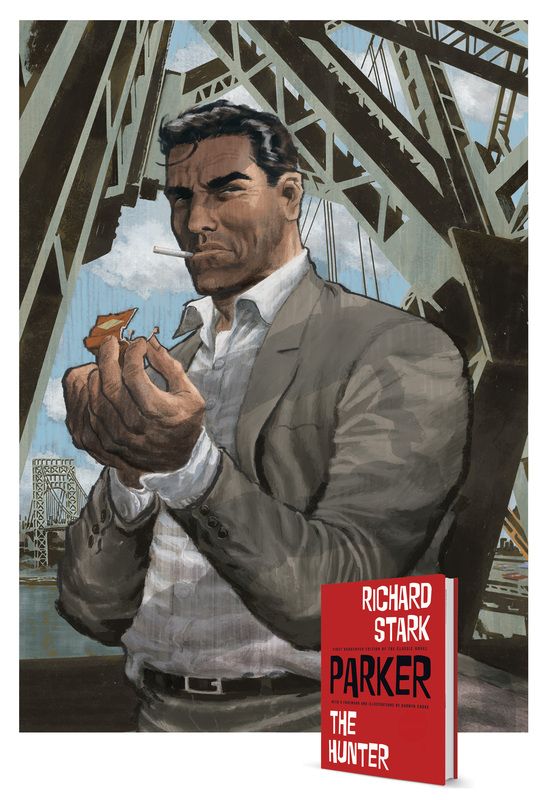 Whether you’re a fan of Stark, Cooke, or both, Parker: The Hunter will be an essential addition to any library this June.